Stay dry and comfortable while working with this Husqvarna rain jacket. 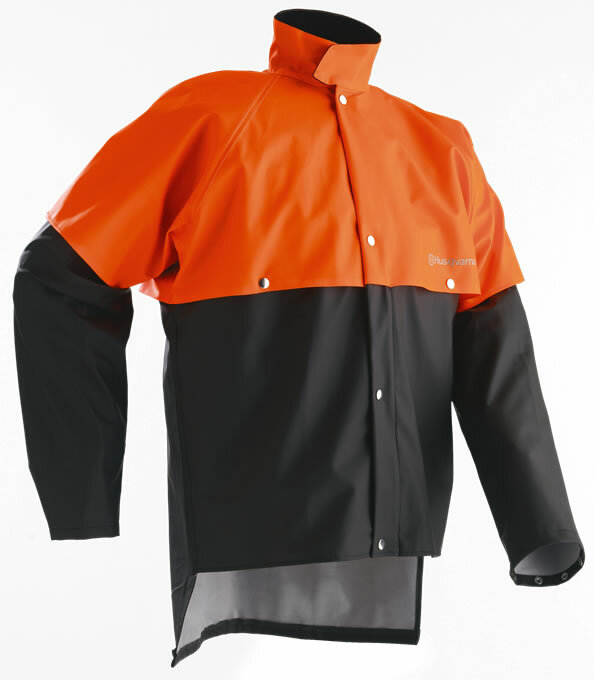 This is a wind and water resistant jacket, with several clever features designed to help you work more efficiently and in comfort. You can rest assured of excellent ventilation courtesy of the PU/PVC yoke on the chest, back and sleeves. This jacket has a zipped breast pocket under the yoke - a helpful addition for efficient working. Extra long sleeves with press studs, an extended back with rain lip and the corduroy collar with its Velcro closure results in a comfortable fit. The jacket itself is fastened using a long zip that's protected by a flap with press studs to the front.